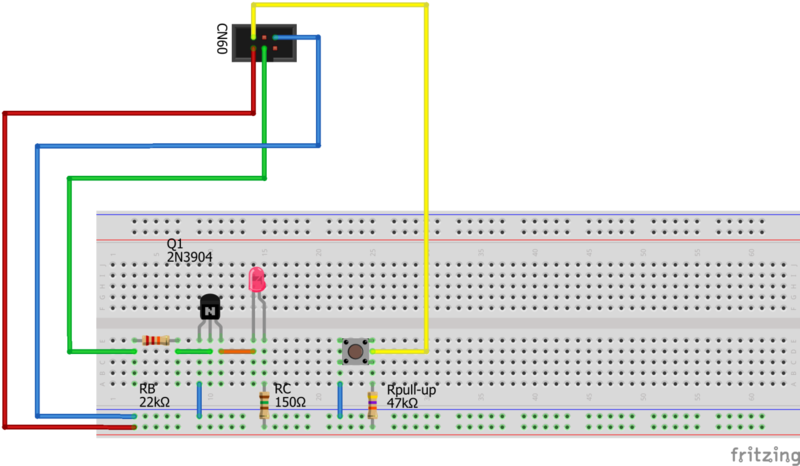 In the previous post we learned how to configure and control the four GPIO signals available in the AAEON PICO-APL3 board using standard shell commands, and a shell script was presented showing how to automate the control of one digital output based on time. In this article, we will demonstrate how to expand the shell script so that it can also read the state of an external signal (generated by a pushbutton) and use this information to control an output. If you may have noticed that the GPIO output is set to ON when the input value is 0, and to OFF when the input is 1. This might seem odd at first sight, but there is an explanation: the digital input is wired to the button using what is called a pull-up resistor, so when the button is not pressed this resistor ‘pulls’ the input to high level, and when the button is pressed the input is connected directly to ground (i.e. low level) through the button contact. This page was last edited on 18 December 2018, at 19:29.